She’s super sweet, she’s incredibly talented and she’s one brilliant actress – we all absolutely love the beautiful Kyla Drew! The wonderful Kyla Drew can do it all. From singing to dancing and even being an entrepreneur, Kyla Drew does it all so magnificently and she always leaves us mesmerized with her outstanding talent and her vivacious, exuberant and spectacular personality. We always enjoy watching Kyla Drew in the highly-acclaimed, hit Nickelodeon show, Nicky, Ricky, Dicky & Dawn. Kyla Drew takes on the role of Mae Valentine, aka the greatest BFF that anyone could ask for, in such a sensational way. It’s always so much fun to watch Kyla Drew dazzle on our TV screens. In addition to being a marvelous actress, Kyla Drew is also a fantastic and skillfull dancer. Her out of this world dance moves always leave us in awe and she truly defines what it is like to be a multi-talented, young lady. Kyla Drew is also a fabulous fashionista who always looks so chic and trendy everywhere she goes. What more can we say? We adore the phenomenal Kyla Drew! 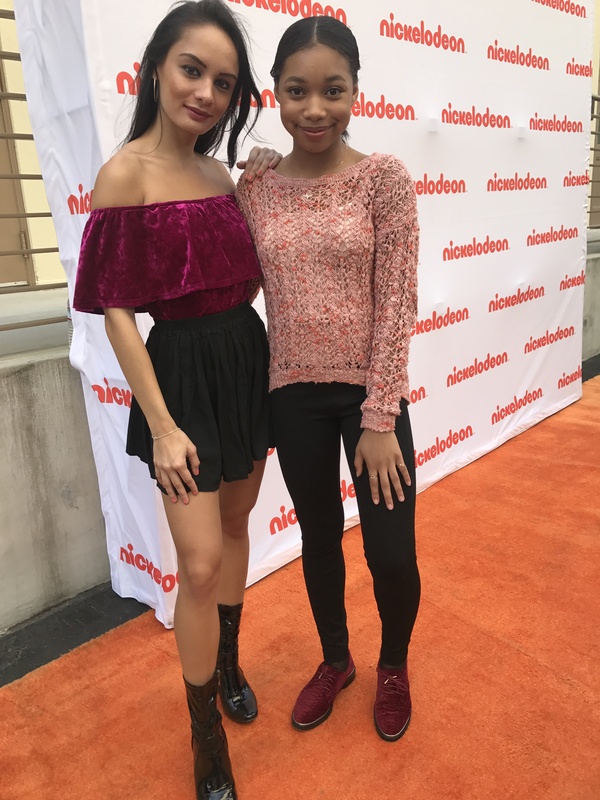 I, Alexisjoyvipaccess had a terrific time covering the premiere of Nickelodeon’s Escape From Mr. Lemoncello’s Library and had a great time catching up with and interviewing the remarkable Kyla Drew again at the event. Kyla Drew dished exclusively to Alexisjoyvipaccess all about which literary character she would like to spend a day with, what kind of genre she would be if she was a book, and so much more only in our VIPAccessEXCLUSIVE updated interview. Kyla Drew even revealed what she would title a book written about her life – hear what she had to say in our VIPAccessEXCLUSIVE updated interview below. Thanks for another fun interview, Kyla! Check out my VIPAccessEXCLUSIVE updated interview with the radiant Kyla Drew at the premiere of Escape From Mr. Lemoncello’s Library below! Be sure to tune in to the premiere of Escape From Mr. Lemoncello’s Library airing on Nickelodeon on October 9th at 7:00 PM ET / PT.